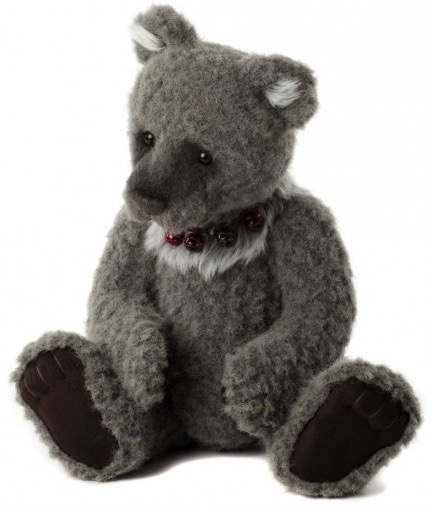 Horatio is a 16"plush Charlie Bear designed by Isabelle Lee. Fully jointed and hand finished, Horatio is a grey plush Charlie bear. He has a hand stitched nose and black eyes, around his neck he wears a collar of coloured bells.